Before we get into our digital marketing predictions for 2017, allow me a moment to talk about my trust in SQ Digital’s capabilities. Rozelle recognised in his fellow team owners the strength of the collective: a trustworthy, capable group of people who thought in terms of the NFL brand, not merely what would serve the interest of their teams, much as other sports leagues tend to do. That’s not something every organisation can have, but when it exists, the leader of the group needs to recognise how to manage it best. 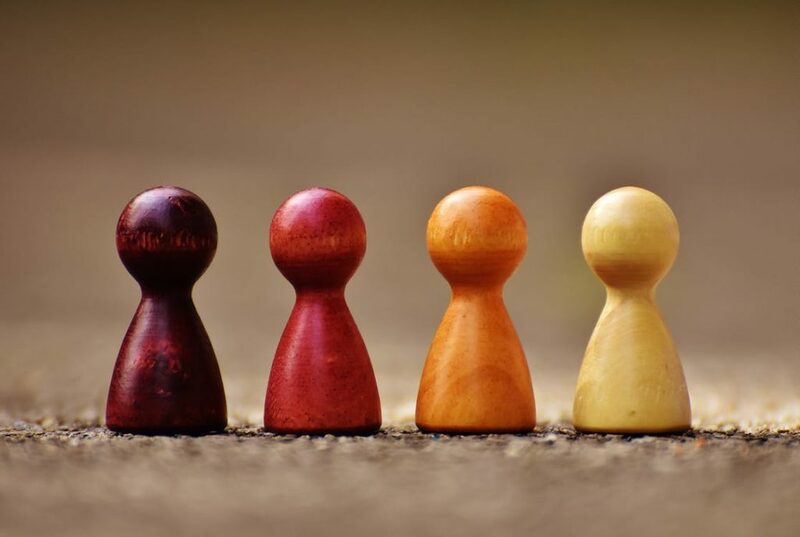 Rozelle realised quickly that it wasn’t his job to get out of the way on decisions or become autocratic in his worldview; he viewed it as his job to help the group arrive at the right decisions for the league by enabling sensible group-think for the bigger picture. Like the late Rozelle, I believe that it’s right to build a consensus and a collective self-confidence by helping these capable youngsters find their voice, deliver on their expertise, and discover the way to continuous good service. Provided they are all those things, that is. After several award short listings, Google Premier Partner status, an RAR+ award from our clients, a position on the Prolific North Top 50, and a bevy of pleased customers satisfied by what we’re delivering, I don’t need to be the one to tell you about 2017’s top digital marketing practices. These capable digital marketers have earned the right to help you get ahead in your marketing strategy. They are, in fact, all those things. I’m merely here to enable them in this intro and beyond. Video works for any platform; adheres to desktop, mobile and tablet needs; and is especially adept for creative outlets like websites, blogs, email marketing and even navigation-free landing pages. In 2016, we saw many of the top social media platforms introducing live-streaming into their capabilities. With news channels broadcasting breaking news through Facebook, and marketing campaigns focused around the new format, this is something that is going to be built upon in 2017. You can track and interact with your audience in real-time, so this is something to look out for. Customer service will be at the forefront of social media strategies over the next year. What is arguably the greatest thing about social media marketing is the ability to respond to your customer queries directly and engage with your client-base. This is something that is bound to be at the forefront of any marketing campaign in 2017, as we see more features that show your customer service capabilities; such as ratings and reviews on Facebook pages, how quickly you respond to messages, and in a public place, it’s vital that you respond swiftly and sensibly to customers concerns and feedback. Not mention recognise how social platforms really work. 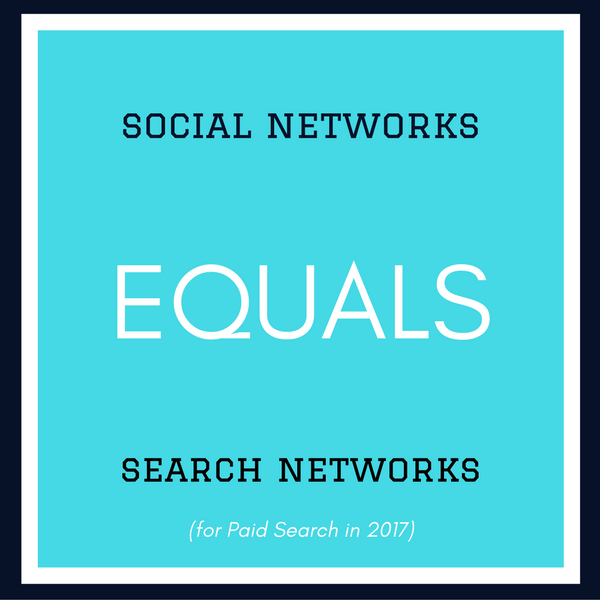 Businesses who combine their paid advertising on social media with that on search engines, such as Google, will see the biggest return on investment. This is because you’re able to remarket to those who have already visited your site at several points throughout the internet, as well as target new clientele at different points on their path-to-purchase. The upward trend of more people using mobile than desktop will continue, but cross-device targeting and analysis will improve. This will mean that if your customer-base sees you on mobile in the first instance, but then buys your product or service through desktop, you will be able to track their journey better and adjust bids based on device. These device-specific campaigns mean that, in 2017, it’ll be more important than ever to tailor your social and paid search campaigns to each platform and ensure that you’re optimising and carrying the same marketing message across different areas of the internet. Content will become more interactive and creative than ever before, especially in an era of content with authority. People are going to be looking for other things other than blogs to promote content, such as videos, slide decks and infographics. They can tell a story even more strongly than long or short-form pieces, break up the webpage they sit on, and give your brand the vibrancy and attuned marketing look it deserves. Along similar lines to the previous point, a strong video message will become a supreme part of any SEO/Content Strategy. They work in any platform, adhere to desktop, mobile and tablet needs, and are especially adept for creative outlets like websites, blogs, email marketing and even navigation-free landing pages. 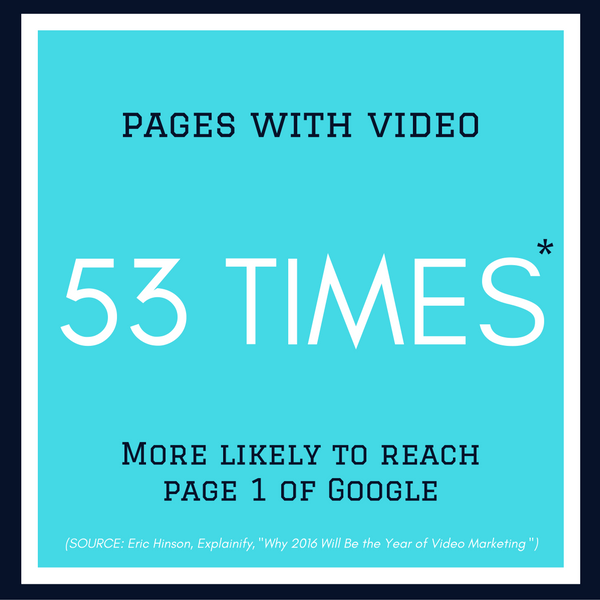 As Eric Hinson of Explainify points out, video content on a webpage increases the odds of front page Google ranking 53 times. Done in an engaging manner, what is a case study or testimonial at the end of day but an effective way to convince and convert? To that end, content marketing done in a manner that engages effectively and puts your brand in the mind and in thoughts of the consumer effectively surpasses traditional methods of advertisement. That’s why the rise of digital marketing has already started. Welcome to the newest audience in which to reach your customers. Some will recall there was a time without pre-loaded ads on YouTube, sponsored posts on Facebook, or video on your website as standard: that era is now behind us. There will also come a time when Snapchat needs to have a stronger influencer marketing experience to expand reach and meet new objectives. And there will come a time when we’re all thinking about the next way to give VR your marketing budget. It’s what’s next and being ready for it that makes content and creative marketing so exciting for everyone here at SQ Digital. There will come a time when we’re all thinking about the next way to give virtual reality your marketing budget. It’s what’s next, and being ready for it that makes content and creative marketing so exciting for everyone here at SQ Digital. We’ve already seen big strides towards mobile dominated search in 2016, so it’s a relatively safe bet that this is going to continue. To this end, Accelerated Mobile Page, or AMP pages, are the new reality, and it’s imperative that SEO tactics get on board with the demands of mobile-first technique to implementing your campaigns. 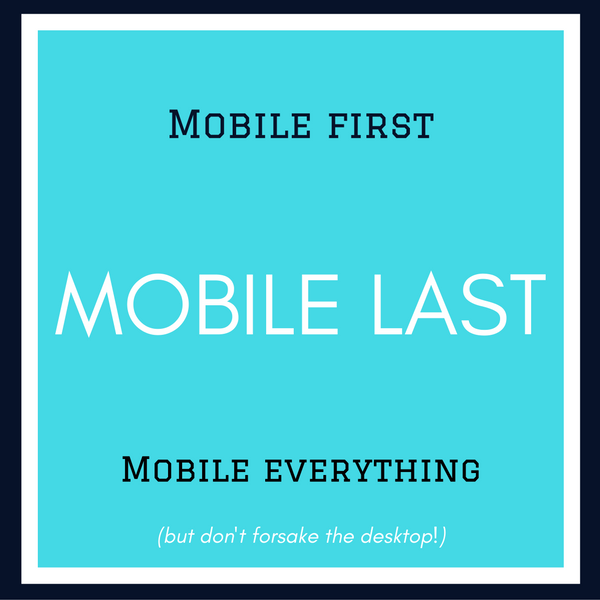 Rest assured: your mindset for shaking up the desktop approach should be simple – mobile-first, mobile last, mobile everything. Why does mobile search matter so much? Partly, it’s because device use is on the rise and desktop use is falling. More importantly, mobile goes hand in hand (pun intended) with more local-based searches. It makes sense, especially when you’re on the lookout for a salon, a bite to eat, or some other bricks and mortar store of the town you live in or commute to. That is local’s value: Local search results will probably become even narrower and more refined to the searcher’s vicinity moving forward. The relationship between user experience and search has been a tricky one to measure, but has improved over the years because SEOs worldwide all but demanded it do so. One thing to remember in your next web design is this: the amount of optimising than an SEO provides for you is all for nowt if the website’s user journey cannot keep them there or coming back for more. It’s something we account for with every web project we offer: one is not good without the other to reinforce it. And so long as search engines study user behaviour and update their algorithms, it’s up to your website to ensure users want to behave in a way that helps you reach your goals. Just like with virtual reality’s role in content, voice search has credibility with users in a world where we could all be standing by ourselves, but talking to someone without a phone near our ear. It’s on the wavelength of many industry professionals, and the numbers bear out voice search’s viability, with word error rate falling and the subsequent effect on long tail, conversational keywords. Therefore, it’s imperative that you can better understand your customers through a better understanding of their conversational tactics. To that end, it’s conceivable that voice search could inform search-friendly webpage updates and content planning, like an FAQ page upgrade, new blog posts, or even thought-leadership campaigns. We’re talking about three crucial elements of digital marketing we know inside and out, and we invite you to make the most of that knowledge. Call our digital marketing agency on 01524 580777, email us or follow us on Twitter, Facebook or LinkedIn.